Grace and power: a runner LEAPING to the finish line! At the Guild School Trick or Treat 5K in Waltham, MA. I've never been to a ballet. Call me a Philistine. But I see grace and beauty in every runner at every race. 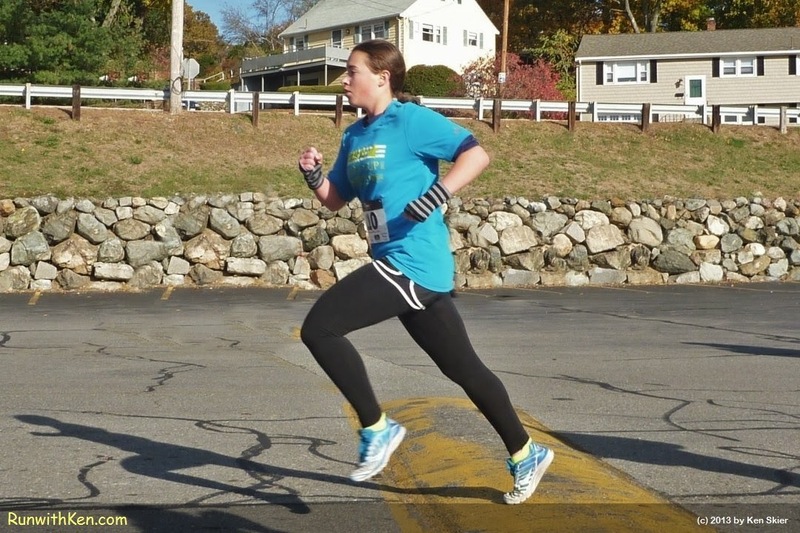 Like this woman...toeing off as she leaps to the finish line of the Guild School Trick or Treat 5K in Waltham!